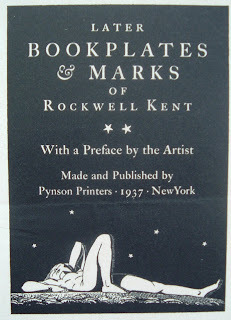 The title of this post is also the title of a book published in 1937 by Pynson Printers. 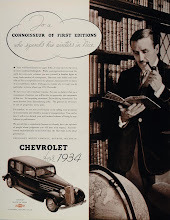 "Later" implies there was an "earlier" and there was. 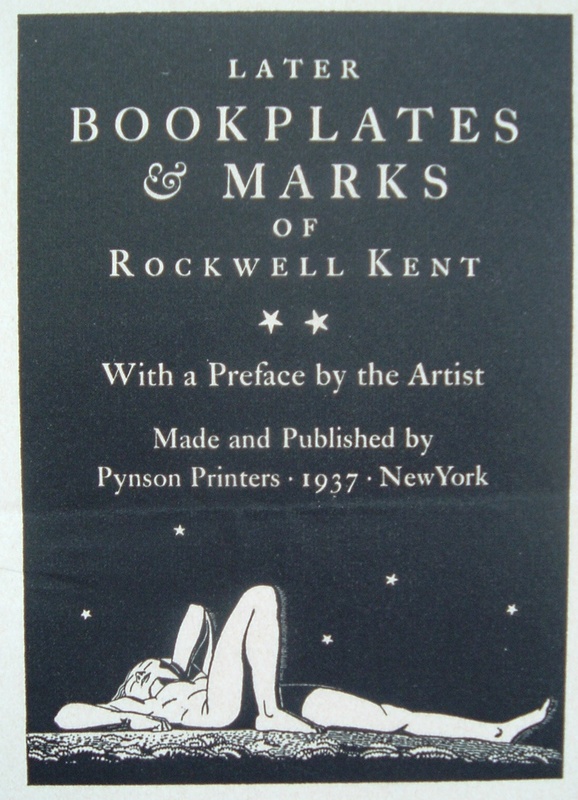 In 1929, Pynson Printers published a limited printing of just 1,250 copies of The Bookplates and Marks of Rockwell Kent. 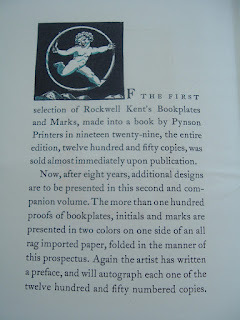 In 1937, Rockwell Kent's body of work had grown to the point that Pynson decided an update to the 1929 volume was needed. 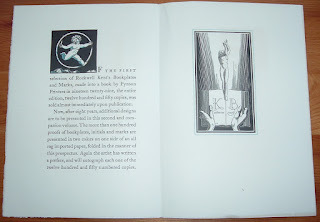 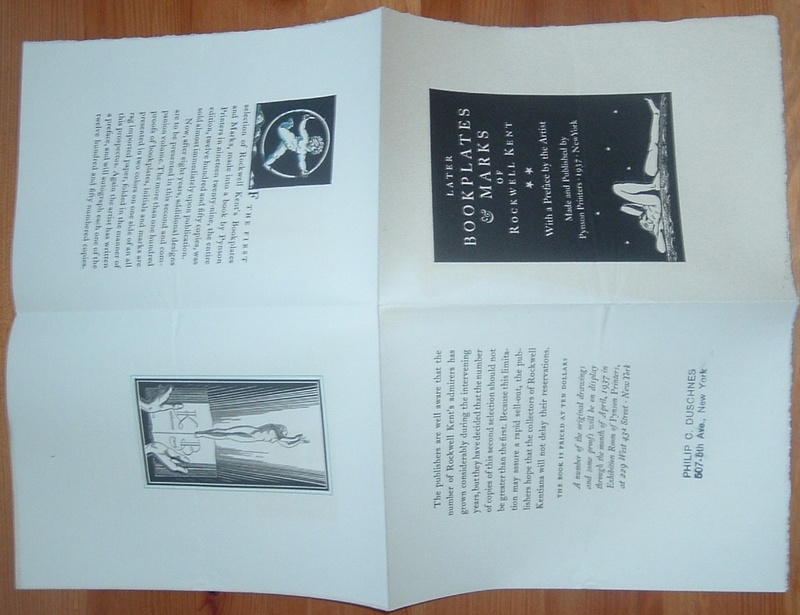 To the left and below are images of the prospectus for that 1937 publication, Later Bookplates & Marks of Rockwell Kent. 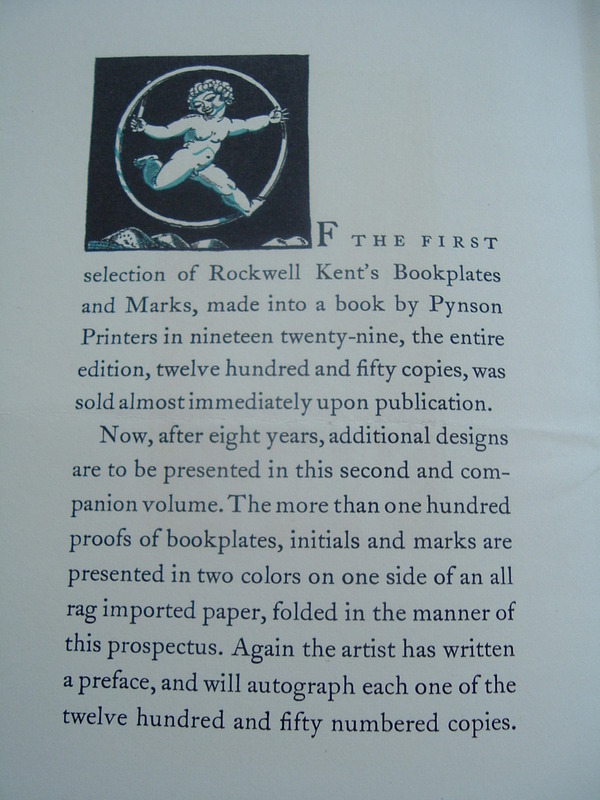 As with the 1929 volume, Rockwell Kent wrote the Preface and only 1,250 copies were printed, each signed by Kent. The back of the folded prospectus indicates that, as with the first volume, this volume in its limited printing is expected to sell out very quickly. 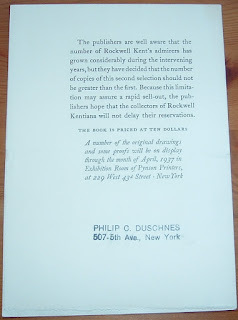 The publisher, it states, hopes that collectors of Rockwell Kentiana will not delay their reservations. 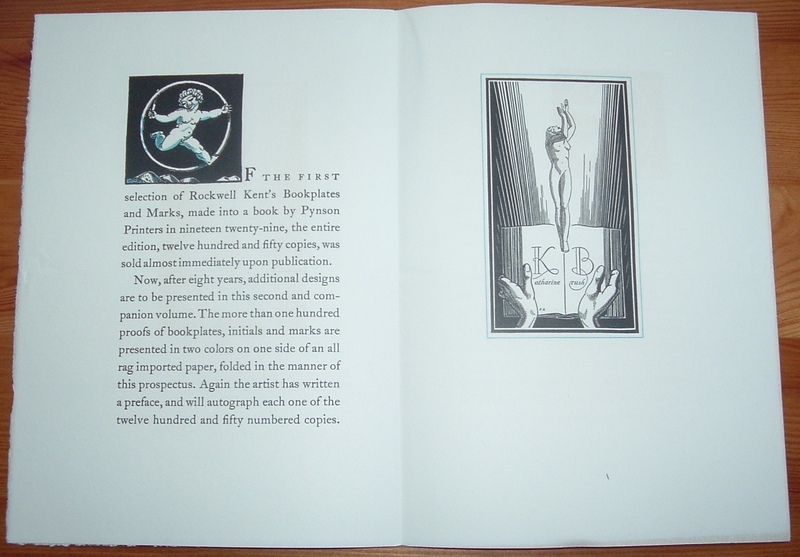 While I haven't a copy of either book, I just might have a piece of Kentiana that's a bit harder to come by--this prospectus. 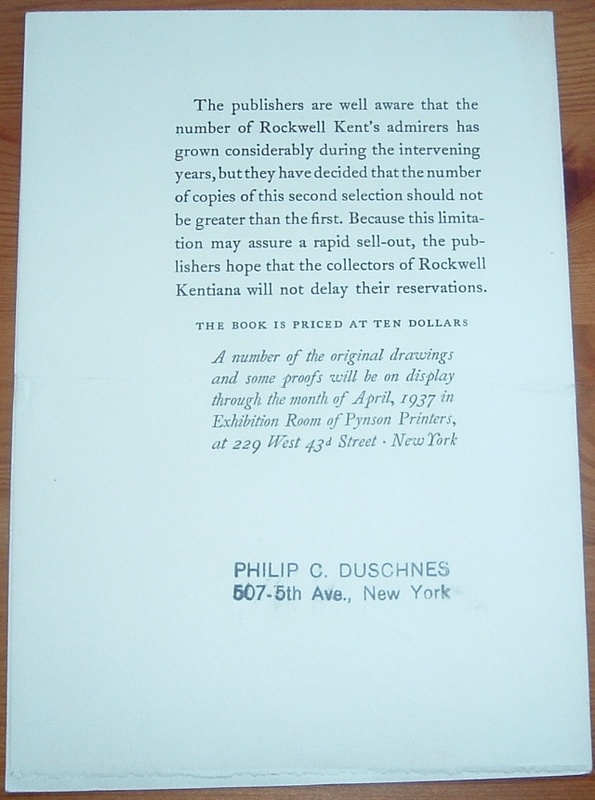 Also of interest on the back of the prospectus is the bookseller's stamp, that of Philip C. Duschnes, a New York bookseller of distinction with a taste for high quality books artistically designed and produced. 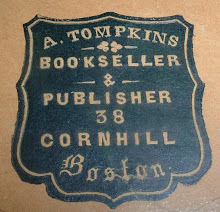 Ironically, perhaps, he also advocated removing single leaves from important books to sell if the market demanded it. 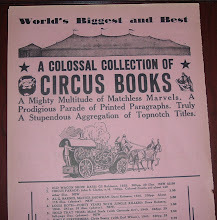 Related and interesting links have been offered in the comments below, which I've now added here so they won't be missed. 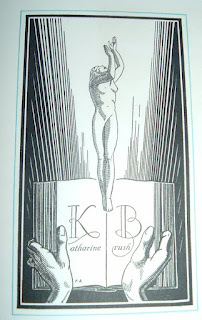 On the Confessions of a Bookplate Junkie blog, Part 3 of a series of posts on Antioch Bookplates features an interview with Karen Gardner, owner of Bookplate Ink, which prints plates that were previously from Antioch, including those by Rockwell Kent. 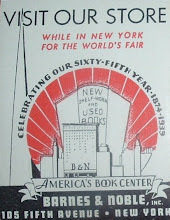 Read the Karen Gardner interview HERE. 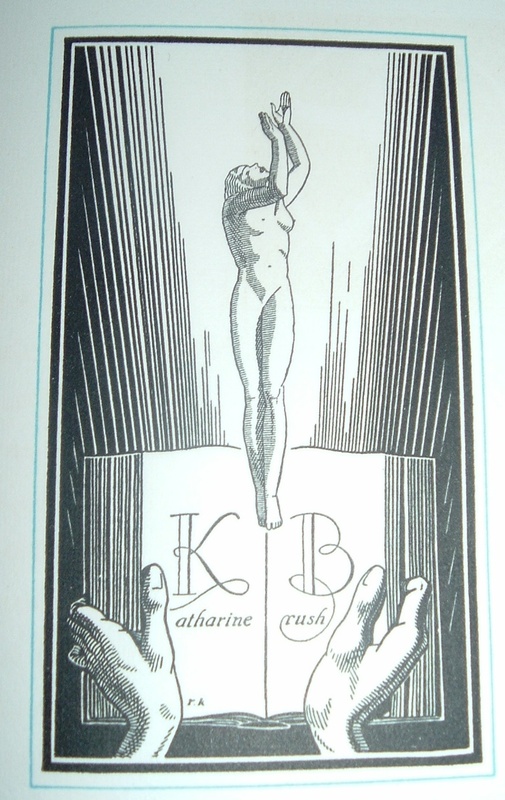 And while you're at it, check out the Bookplate Ink Blog.